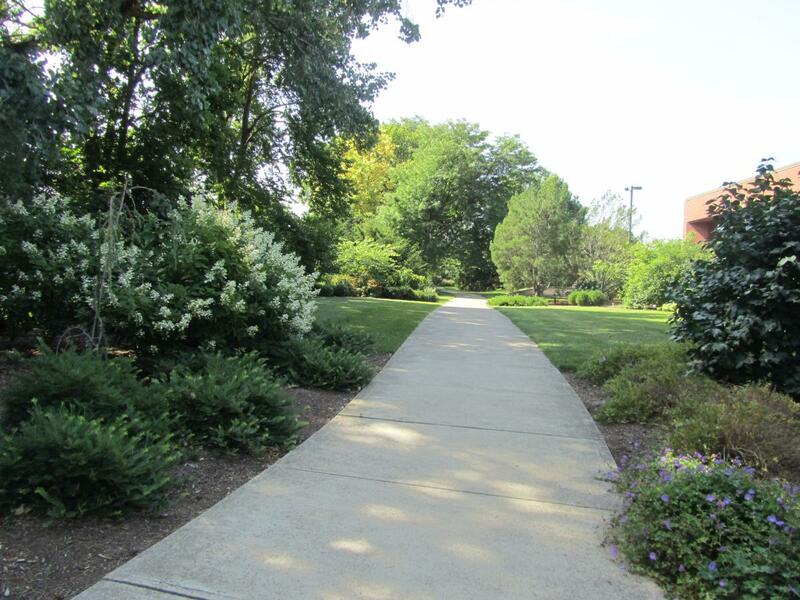 The Olentangy Corridor Gardens are located along the Olentangy River Road between Lane Avenue and Woody Hayes Drive. They have undergone many changes since the gardens first opened in the early 1980s. 2015 will be no exception. In conjunction with the City of Columbus, The Ohio State University will install a bike path alongside the Chadwick Arboretum Olentangy Corridor. This path will connect the downtown area, through the campus, to the northern leg of an existing bike path. We are looking forward to this connector and the increased awareness of our gardens it will bring by routing more cyclists through this area of the campus. 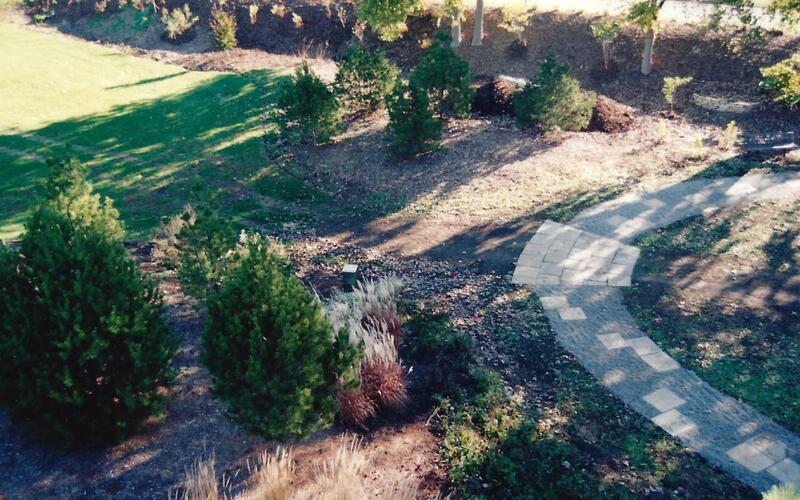 In the early 1980s, the Olentangy Corridor was a fairly blank canvas when Chadwick Arboretum received a gift for the first of our many named gardens. The Katherine H. Van Fossen Wildflower Garden was installed in the Olentangy Corridor Gardens in 1992. Because this location was somewhat remote, the garden was relocated and rededicated in 2003. In its new location in front of Howlett Hall, the Katherine H. Van Fossen Wildflower Garden helped launch our current Learning Gardens. This signature garden gave the Learning Gardens a wealth of plant material for use in research, teaching, and enjoyment. It features early spring ephemerals, and is among the first gardens to “pop” in spring. In 1993 – 1994, the brick pathway of the Barbara Jean Johnson Promenade was installed. Over time, the surrounding gardens continued to mature and, by 2012, they attained a visual threshold – “a drive-by presence” – that had not existed before. With the opening of the Schottenstein Center in 1998, pedestrian traffic through the arboretum increased when a walkway was installed connecting the parking lots to the “Schott” and to Ohio Stadium. The additional activity in this area of the gardens provided incentive to further develop the corridor. 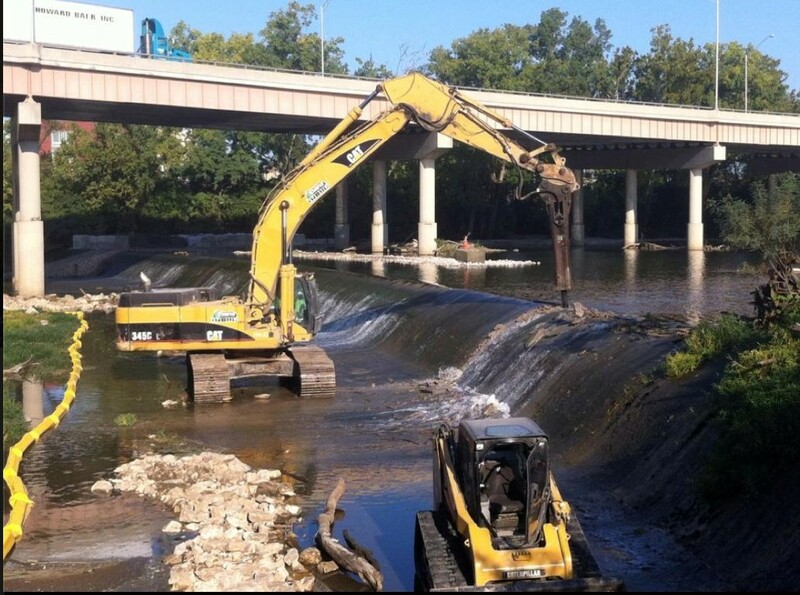 In 2012, the City of Columbus began the removal of the lowhead dams along the Olentangy River to improve the ecosystem and reclaim the land along the river. The Lower Olentangy ecosystem covers two miles of the Olentangy River between Dodridge Avenue and the confluence with the Scioto River. The 5th Avenue Dam was one of six lowhead dams on the river within Franklin County. Lowhead dams prevent the development of a flow regime that is indicative of a natural, high quality ecosystem beneficial to fish and microinvertabrates. The dam was an eight foot high, 475 foot wide structure built in 1935. It was used as a source of cooling water for the Ohio State University power plant, no longer in operation. The city offered to look at either modification or removal of the dam as a Supplemental Environmental Project, as part of the settlement of an enforcement order and agreement with the Ohio Environmental Protection Agency. 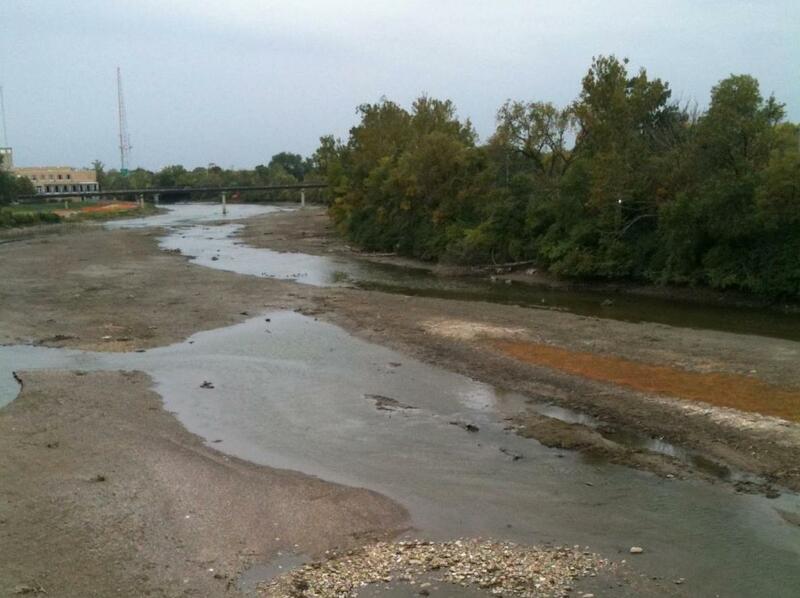 The agreement was reached to enhance water quality and stream habitat in this portion of the Olentangy River. 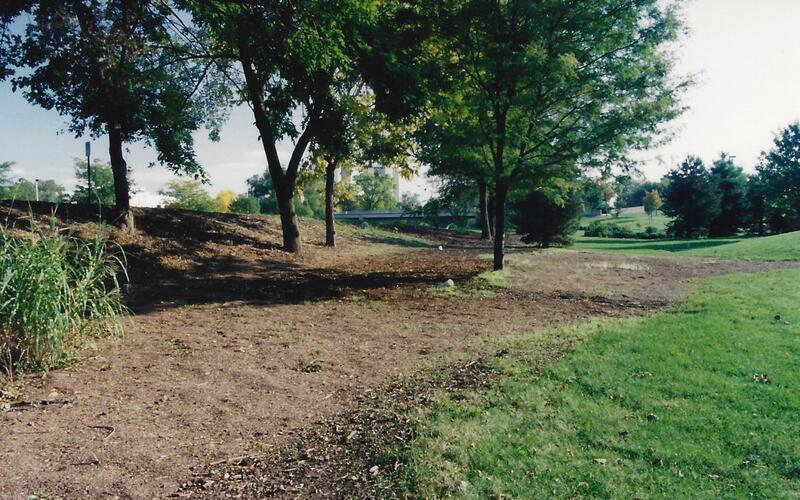 In anticipation of the dam removal, Chadwick Arboretum took the opportunity to improve our portion of the river view. We engaged horticulture alumna, Melissa White, owner of Begonia Park and Company, to lead the efforts to renovate the area. With the help of students, staff, and volunteers, they removed invasives, extended irrigation, revitalized the gardens, and planted many, mostly native, trees and shrubs. The area now provides a beautiful walk for the thousands of Buckeye fans who use this corridor to reach the stadium on football Saturdays, the Schottenstein Center for basketball games, or as a scenic avenue to the main campus. 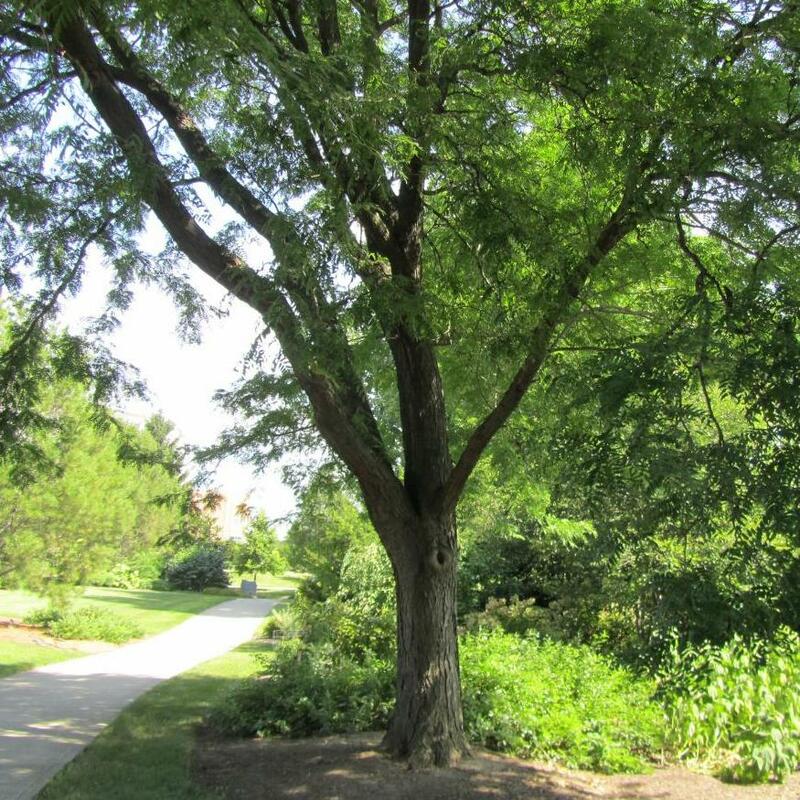 In 2015, we look forward to welcoming a whole new group of visitors to the Chadwick Arboretum Olentangy Corridor. 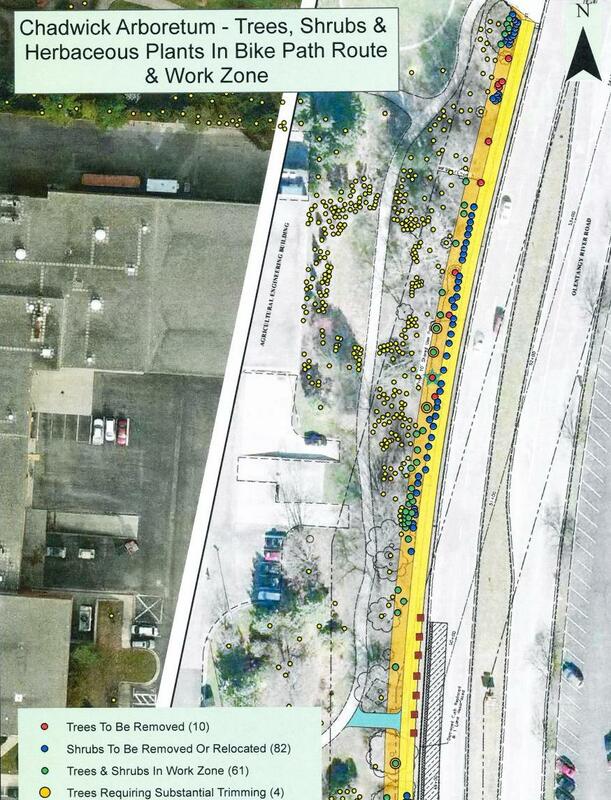 A new bike path will link downtown Columbus with the northern leg of an existing bike path. Bikers will follow a route parallel with the arboretum, alongside the Olentangy Corridor. This section of the bike path will extend from the corner of Woody Hayes Drive and Olentangy River Road to the corner of Lane Avenue and Olentangy River Road. The Annabelle sculpture guards the south end of this section, and a dramatic new sculpture is planned for the Alumni Class of 1938 Plaza near the north end. The Ohio State University, in conjunction with Sasaki Associates, Inc. has developed a master plan for maintaining a Green Reserve on our campus. Over the last several years, the OSU has been actively engaged in preparing a comprehensive master plan for the entire campus, supplemented by a series of more detailed district studies. A fundamental concept established in the Long Range Concept Plan for the University is the Green Reserve, which is a connected open space system that flows through the campus, The spine of the Green Reserve is the river corridor, with lateral fingers that reach into the Oval and Mirror Lake Hollow on one side and into the athletic fields, the Chadwick Arboretum, and Waterman Farm on the other side. The district plans have established a likely development program and defined the location of major new buildings within each area while preserving the concept of the Green Reserve. The Long Range Concept Plan and each district plan involved a district planning committee and underwent careful public scrutiny during their development. Open space is a critical component of our civic infrastructure. The Olentangy River is the geographic center of the Columbus campus, and as such represents a singular opportunity. A transformed river corridor will be an active research and learning corridor; a pastoral recreation zone; and a highly functional infrastructure conduit enabling multi-modal transportation, stormwater management, a continuous regional open space network, and renewable energy through geothermal wells. The restored stream tributaries and associated open space elements are critical contributors to the green reserve. The re-imagined river corridor is the perfect symbol for One University; it could be our next Oval for the coming 100 years. In 2015, the College of Food, Agricultural, and Environmental Sciences (CFAES) will engage Sasaki Associates, Inc. to further define the CFAES campus, west of the Olentangy River, including Chadwick Arboretum & Learning Gardens. For additional information visit The future of our facilities: College holds master plan forum website. Cedrus libani, commonly called cedar of Lebanon, is a needled evergreen conifer that, with age, develops a massive trunk, a flattened top, and broad spreading horizontal branching. It is native to Lebanon, Syria, and Turkey. Lower branches typically remain on the tree as it ages, often touching the ground. It is a slow-growing tree that over time may grow to 40-60 feet. Subsp. stenocoma is a columnar form that is particularly noted for having better winter hardiness than all other forms. 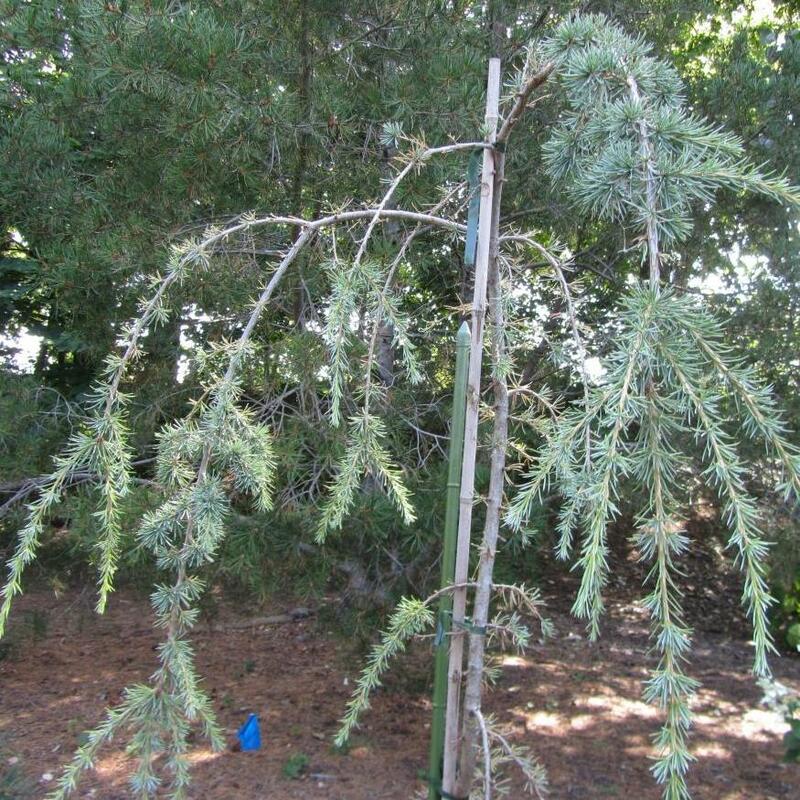 Unlike straight species plants, subspecies stenocoma is more upright and rigid (crown does not flatten with age), has shorter needles, has narrower cones, and will grow in Zone 5. 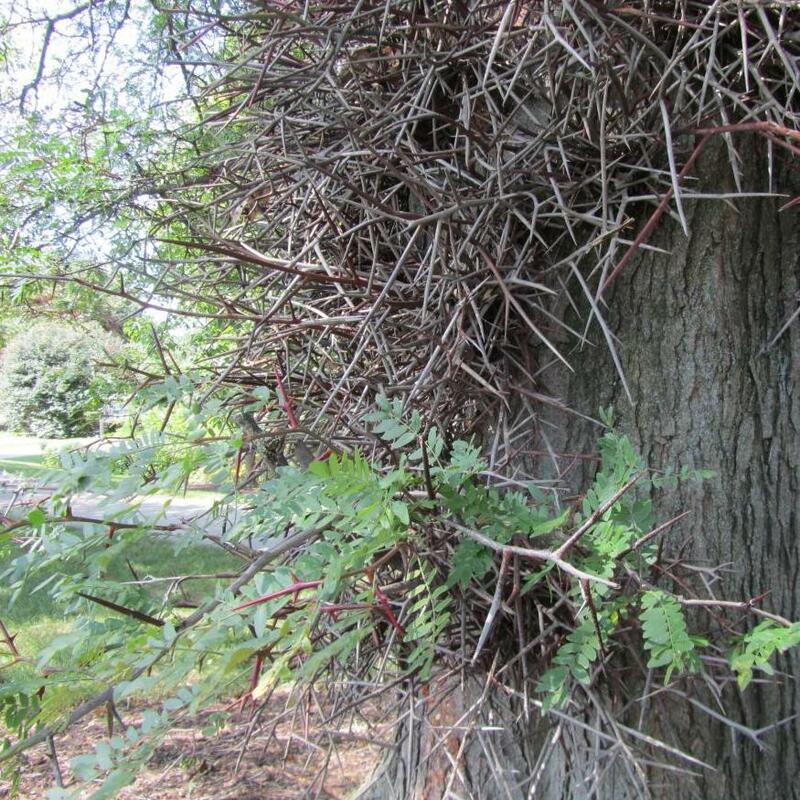 Commonly called honey locust, Gleditsia triacanthos is the thorny, native variety. It typically grows 60-80 feet tall with a rounded spreading crown. Trunk and branches have stout thorns (to 3 inches long) that are solitary or three-branched. Inconspicuous greenish-yellow to greenish-white flowers appear in racemes in late spring. Flowers are followed by long, twisted and flattened, dark purplish-brown seedpods (to 18 inches long) which mature in late summer and persist well into winter. Species plants are generally not sold in commerce today because the thorns and seedpods are considered to be significant liabilities. Genus name honors Johann Gottlieb Gleditsch (1714–1786), medical doctor and one-time Director of the Berlin Botanical Garden. Specific epithet comes from the Greek acantha meaning thorn and tri meaning three in reference to the three-branched thorns on species plants. Gladitsia triacanthos var. 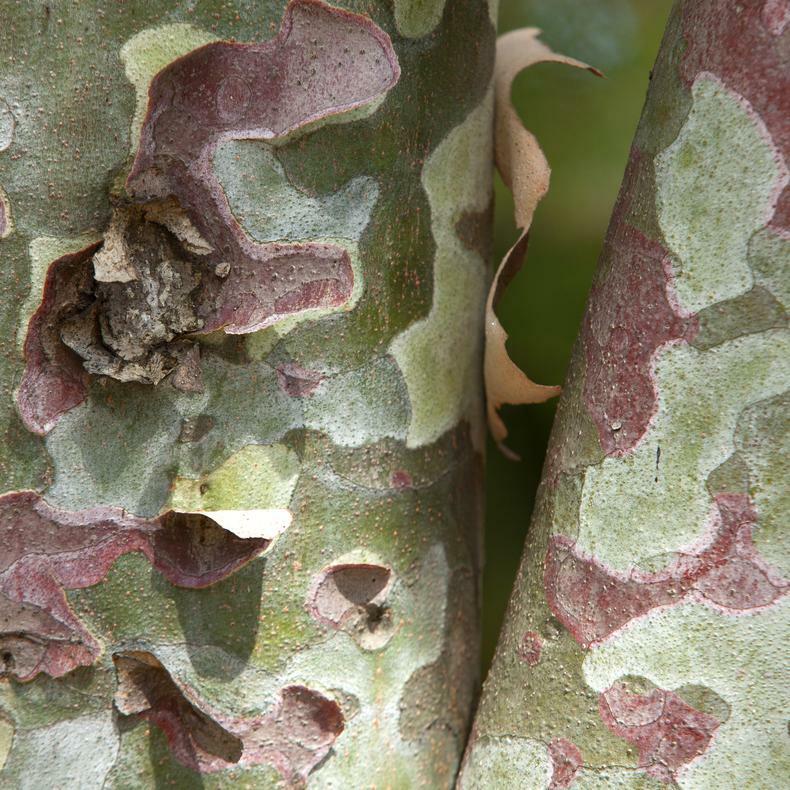 inermis is an urban tolerant tree, excellent for filtered summer shade and its majestic winter outline. It is a large, deciduous tree maturing to 60 feet tall by 40 feet wide. Unlike the straight species of Gladitsia triacanthos, the var. inermis does not have thorns – inermis is Latin for "unarmed." 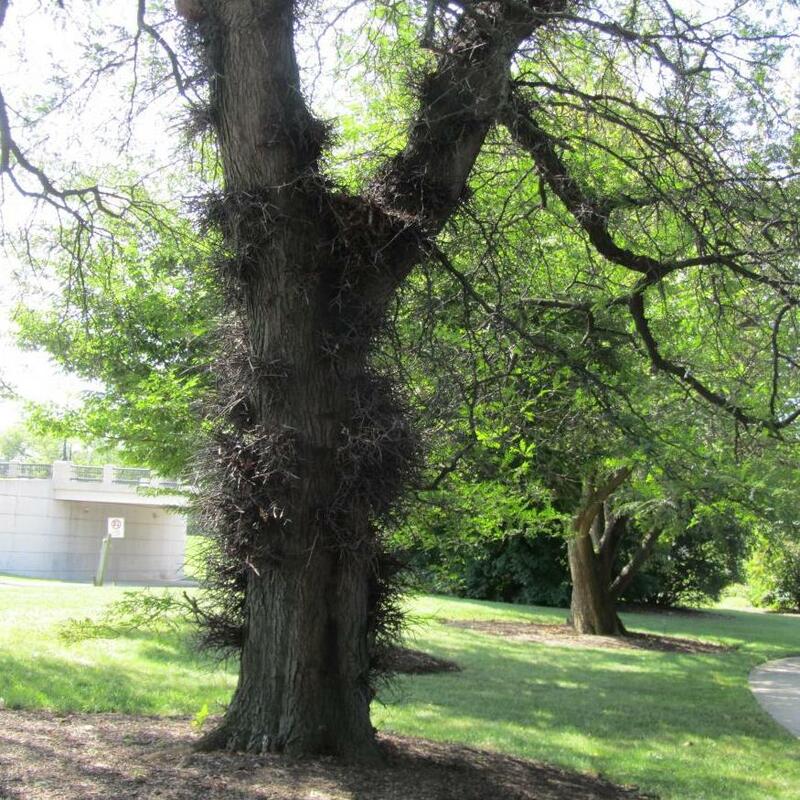 Click Gladitsia triacanthos or Cedrus libani, two trees in the Olentangy Corridor Gardens, for a photograph and one or more links to information about these trees from The Ohio State University Plant Facts, Wikipedia, and/or USDA Plants Database. Or click Plant Search Database and simply enter the botanical name (genus only will work) of any tree on The Ohio State University Columbus campus. If you do not know a tree's botanical name, you can find it by searching the web using the tree's common name. We are in the process of adding QR codes to our plant labels throughout the arboretum. If you are walking in the gardens and see a plant label with a QR code, use your smart phone or tablet QR reader app to access a photograph and description or link to additional information about the tree. If you don't have a QR reader app, you can download one for free from your app store.